Donald Trump's grandfather begged Prince Regent Luitpold to let him back into Germany. Avoiding military service may run in the family. Newly-discovered historical documents help explain why German officials forced Friedrich Trump, President-elect Donald Trump’s grandfather, to immigrate to the United States from Germany — and it has a lot to do with war. According to the documents, which German historian Roland Paul found, German authorities ordered Trump to leave Germany and never come back after he neglected to tell them he had moved to the U.S., thereby missing a notice for mandatory military service. 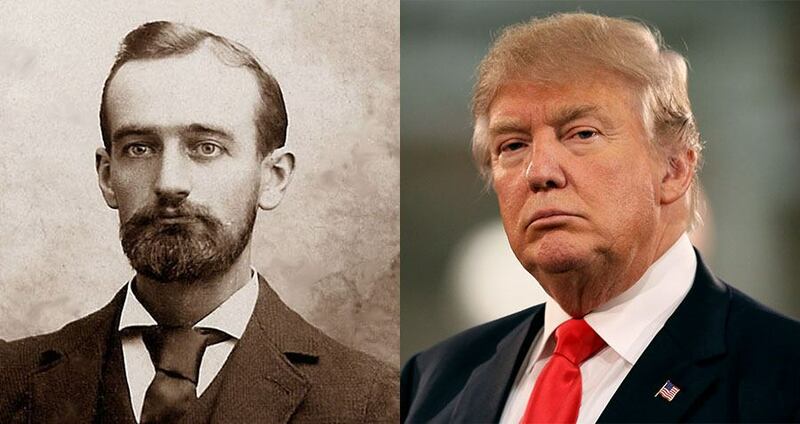 Trump only noticed when he attempted to move back to Germany in 1905, 20 years after he emigrated. As a punishment, Trump had to leave the kingdom of Bavaria within eight weeks of officials issuing the royal decree. Attempting to appeal to a higher power and reverse such a fate, Trump wrote a letter to Prince Regent Luitpold, calling him the “the much-loved, noble, wise and righteous sovereign and sublime ruler” and asking for forgiveness. Luitpold said no, however, and forced Trump to flee on the Hapag steamship Pennsylvania with his wife and daughter on July 1, 1905. Trump’s wife, Elisabeth Christ, was three months pregnant with Fred Trump at the time, Donald Trump’s father. Christ was actually the reason Trump wanted to move back to Germany. Although Trump left Germany penniless the first time, the money he made during the San Francisco gold rush by sending nuggets to his sisters in New York, who would then buy and sell property, made him a rich man. When Trump came back to Germany for a victory lap flush with cash, he fell in love with Christ, who grew up next door to Trump. They moved to the U.S. after getting married in 1902, but Christ became homesick and wanted to move back, kicking the whole episode off. Next, check the over 200 incidents of harassment that have taken place since Donald Trump was elected president, before checking out why thousands took to the streets to protest Trump’s election.